The Puck RGBA adds 36 Edison 10mm .5-watt Amber LED's to the already popular original Puck fixture to expand its already powerful color mixing palette! With an overall depth of 2.5" and a main depth of about 1", The Puck RGBA is one amazingly thin PAR! 144 ultra-bright 10mm LEDs also make it big on output, while an LED control panel and power daisy chain connectors make it versatile and perfect for everything from standard use as a hanging par light to uplighting! The Puck RGBA features 4 and 7-channel control modes what this means is that it works great with almost any type of controller, including many of the popular 4-channel easy controllers. Plus, The Puck RGBA features built-in 4 button/4 character LED control panel which allows total control over the fixture, including sound active and standalone modes, display invert and service hour readout. Compare it to the competition... It is brighter, and far more affordable. 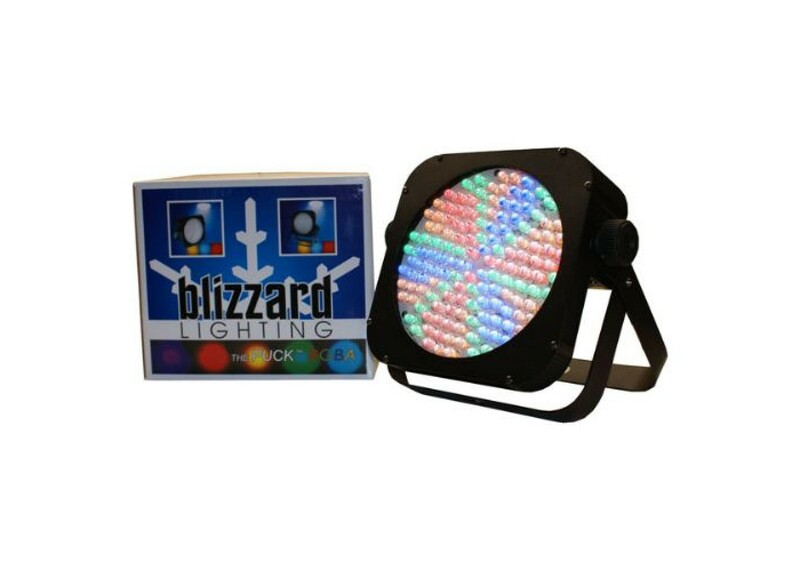 Also, it says Blizzard Lighting on it, which means you get Blizzards industry-leading 2-year warranty and friendly, responsive service if ever you need it, and you can get this, and many more Blizzard Lighting products right here at Worldmusicsupply.com! 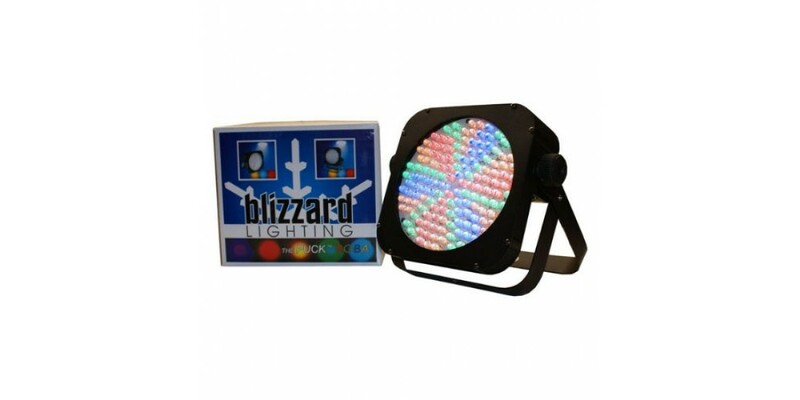 Full RGBA color mixing plus 15 built-in colors in Standalone, Master/Slave and DMX modes. Power and DMX connections and LED control panel are all in places which means you can truly use The Puck RGBA in ANY position, including flat on the floor!